Many of us have a bank account but sometimes find that it does not always fulfil the purpose we have for it which inevitably means we need to upgrade it. Upgrading a bank account is not perhaps as difficult as it may sound and there are ways in which one can do this without incurring further charges or bringing about any disruption to how our banking requirements are carried out. In the last two years there has been a steady move towards online bank accounts which require less work on behalf of the banks as the owner of the bank account is responsible for its upkeep and also making sure that it does not become overdrawn. This reduces the amount of time and money the bank has to spend administering the account and also gives the bank account owner more control over his or her finances. Most banks will approach after a period of time when you have a bank account and ask if you wish to upgrade to another. When this happens it is normally so that the bank can offer you additional facilities such as online banking, an overdraft facility and the ability to transfer money between accounts without having to visit a branch or speak to an advisor on the telephone. When you first open a bank account you may find that it has limited functionality i.e. : it may not have an overdraft facility and may not be maintainable online however most banks are now moving towards online banking as a way of reducing their own expenditure. The best way to go about upgrading your bank account is to contact your bank – especially if you have received offers from other banks asking you to move your account to them. At the present time the banking industry is in something of an upheaval due to the credit crunch and also the fact that test cases in court have proved that banks have been charging customers to use their own bank accounts and withdraw their own money. 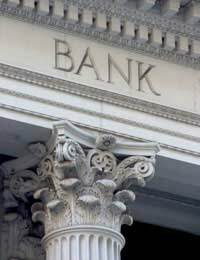 Most banks will try and accommodate you when it comes to upgrading your account rather than lose your custom altogether. You have to remember that even though you may only have a few pounds in your account that money has been utilised by your bank to make investments or to help cover their own expenses. It also costs a bank more to close your account than it does to upgrade it. Current accounts are by far the most popular bank account type and as such most people have one and those that don’t want one. There are a huge number of people who have bog standard accounts (savings accounts for example) which only allow them to put money in and take it back out again whereas a current account allows them to use a debit (and sometimes credit) card in any number of locations and indeed abroad. Contact your bank and ask what kind of account you can move up to before making any final decisions. Also it is worth mentioning that other banks have approached you with a view to moving your account. You will find that whatever your circumstances your bank (or building society) will have something to offer you by way of a newer more up to date account. As most of us now have access to the internet either at home or at work there is no need to take the first bank account that is offered to you. Weigh up the options before making a final decision. Indeed when it comes to accounts look at whether a current account or an online bank account would suit you best. Make a list of all the bank accounts you have found that could be of use to you and then present them to your own bank especially if these accounts are better than yours. Don’t be shy about asking what your bank can do to retain you as a customer because your money – however much or how little – is as important to them as the next person’s. Don’t wait for your bank to tell you they can offer you a new account; it is in your best interest to get the best deal and the best bank account – online or otherwise – that you can. If you think that another bank account suits you best then look into it in detail and explain your reasons for this to your bank. Also if your branch is close to home pop in at lunchtime or on a Saturday morning (most banks are open on a Saturday morning these days) and talk to an advisor. Talking to a telephone advisor is all well and good but they will offer what they think is best for you and will often offer you the bank account of choice at that time which may not suit your needs.